Muscle Milk Review. Types of Products, How it works, Pros and cons. Can Muscle Milk help in muscle growth? Probably. But, first read this detailed review of ingredients, side effects, and benefits before making a purchase. 6. Who’s Muscle Milk For? 7. How Does The Supplements Work? 15. What Are the Customers Saying? 17. Final Verdict. 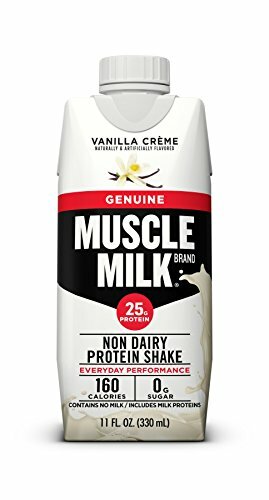 Would I recommend Muscle Milk? Muscle Milk has become ubiquitous and a household brand–hardly ever do you walk in a store and fail to see these supplements. Their popularity has grown because of the various endorsements from athletes and celebrities alike. But, the mind-boggling questions is, does Muscle Milk work? Or is it just another marketing gimmick? I have reviewed the ingredients, their effectiveness, benefits, and side effects, and compiled this in-depth review. 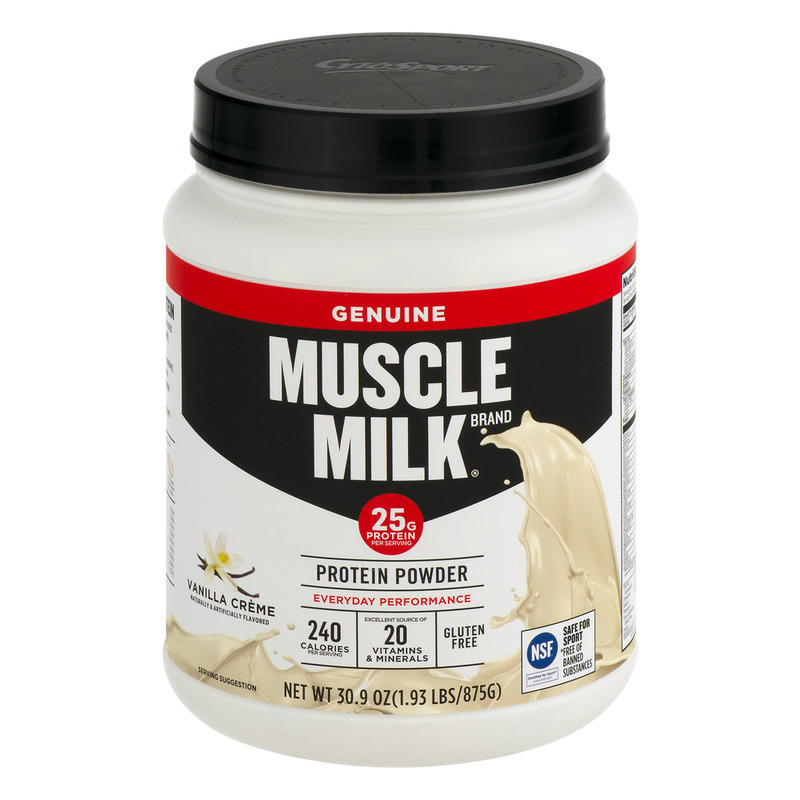 Muscle Milk can be bought from the Official website and Amazon. Muscle Milk, a brand of non-dairy shakes, is available in powdered and ready-to-drink supplements. While protein is the main ingredient, a scoop of the supplements contains 9 grams of carbohydrates, 2 grams of dietary fiber, and 17 different vitamins and minerals. Contrary to the name, Muscle Milk does not contain milk, but, it has milk derivatives– whey and casein, probably the reason why it is ideal for people with lactose intolerance. A brand rich in protein for promoting lean muscles growth and repair. CytoSport, founded in 1998, is behind Muscle Milk brand, launched in 2000. The idea behind Muscle Milk was to provide a lactose-free protein shake that closely resembles human milk. The whey and casein blend supplements not only help to build muscle, but also provide energy. In Canada, the supplements are branded as Muscle Milk to avoid confusion with milk. Muscle Milk products are grouped into three categories ready-to-drink shakes, protein bars, and powders. Genuine shakes contain a blend of high-quality protein that helps with workout recovery, provides energy as well as build strength. You can use these shakes before or after a workout. 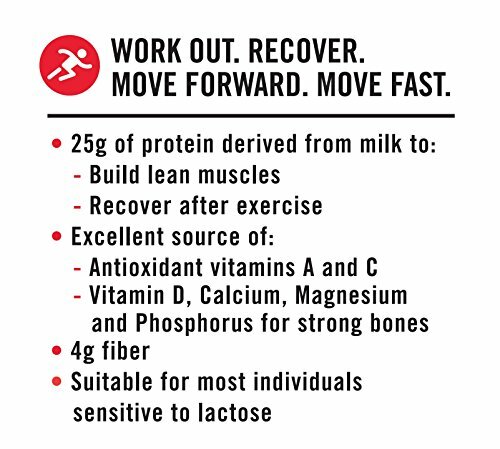 Muscle pro provides protein and essential nutrients to help recover and build muscles after weight training exercises. Smoothie yogurt protein shakes are formulated using the Greek yogurt style and contain 25 grams of protein in each bottle. And, you can take them for breakfast or as a mid-morning snack. Coffeehouse protein shakes provide not only high-quality protein but also 120 mg of coffee. This delicious shake is equivalent to a cup of coffee and is ideal for breakfast. Protein powders are easy-to-mix and can be added to smoothies, shakes, and various recipes. These powders are effective if used before or after a workout or before bedtime to enhance lean muscle. 100 calorie powders contain low-fat protein, and they have 0g sugar. Each serving gives 100 calories and 15 g of proteins. Coffeehouse protein powders are available in mocha and café latte. These supplements not only boost your energy in the morning but also enhance your workouts. Gainer Powders are ideal for people who struggle to gain size and strength. 100% whey supplies the body with essential amino acids and high-quality protein. Additionally, it supports muscle recovery and growth. Protein bars are available in 15 and 20g options and are rich in protein and other essential nutrients. Maximize your workout recovery with shakes and powders designed to help you get stronger every day. Whey protein is a byproduct of cheese or casein, and they contain a higher percentage of pure protein. Additionally, it has a lower carbohydrate level and can be classified as lactose-free. Not only does whey contain all the essential amino acids, but they are also easily digested. Furthermore, according to a report published by Victoria University researchers, whey isolate is effective in increasing muscle and decreasing body fat than casein protein (1). Muscle Milk contains isolate, concentrate, and hydrolysate forms of whey. However, because the supplements do not indicate the percentage of whey, it is impossible to figure out its effectiveness. Maltodextrin is an FDA approved food additive obtained from corn, rice, potato, or wheat. Although it is normally used in small amounts, maltodextrin has a high Glycemic Index, and thus it spikes blood sugar. So, people with diabetes should be cautious when taking Muscle Milk. Lactoferrin is a protein found in milk, bile, saliva, and tears. But, of the different types of milk, Colostrum is richest in lactoferrin. Moreover, this protein is ideal for iron transportation in the body and fighting infections (2). Furthermore, it has anti-inflammatory properties. Milk isolate is obtained from skim milk and is 90% protein. Plus, it contains 3% of lactose and amino acids. Calcium caseinate is the scientific name for casein and is produced from skim milk too. And, it is the main ingredient in Muscle Milk. Other ingredients include vitamins A, C, D, phosphorus, magnesium, potassium, calcium, and soluble fiber. Muscle Milk is manufactured in Benicia California at a 150,000 square foot manufacturing facility. These protein powders and shakes are designed not only for athletes and gymnasts but also adults seeking to add size and weight. Furthermore, with their protein content, these supplements double up as mid-morning snack or energy boosters, meaning they are ideal for people with demanding careers and jobs. While anyone can consume these supplements, people with high blood sugar should be cautious. Maltodextrin has a high G.I (glycemic index) and can raise the blood sugar and trigger other health complications. According to experts, the body builds muscle after exercise when the body is resting. Generally, taking a protein shake 15 to 20 minutes after an exercise will provide your body with all the essential amino acids and proteins to rebuild damage and form new muscles as well as promote tissue and bone repair (3). Therefore, Muscle Milk supplements will probably help in rebuilding your muscles considering they contain 64% protein. None of the CytoSport claims are scientifically proven. However, research exists that supports the benefits of protein. Protein provides satiety, help in muscle building, and may also help with weight loss. According to CytoSport, Muscle Milk in combination with exercise-training may contribute to healthy weight management, workout recovery, lean muscle gain, and sustained energy. Taste is Muscle Milk’s competitive factor. 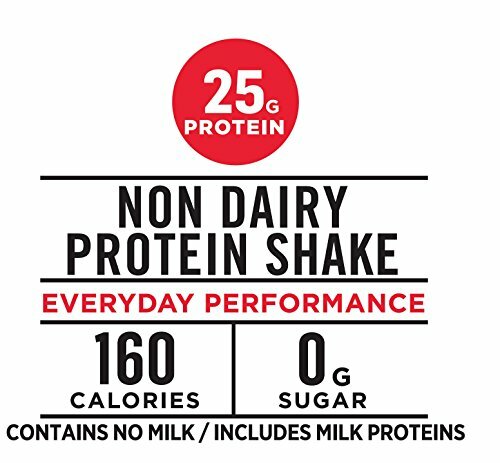 The protein shakes have a milkshake consistency and are available in banana, chocolate, coffee, strawberry and vanilla flavors. Muscle Milk is available as ready-to-drink shakes. Plus, the powders are easy-to-mix with any form of beverage including smoothies. Muscle Milk can interfere with your gut flora, living microorganism– good bacteria that maintain normal body function. Gut microbiota is your gateway to good health, and a comprised one is a ticket to different diseases. 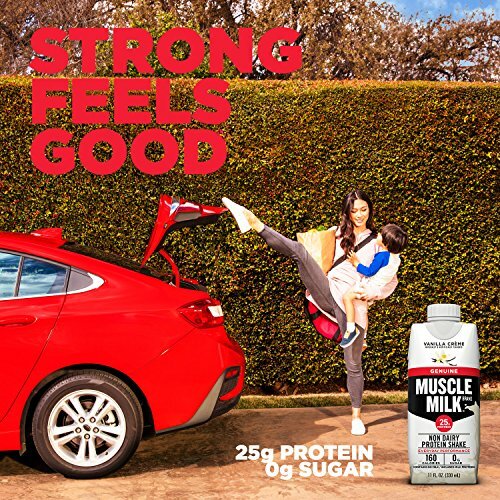 Muscle Milk contains acesulfame potassium and sucralose– artificial sweeteners that can impair your gut flora, affect metabolism processes, trigger weight gain, and insulin resistance. Although the supplements are said to be milk free, the Milk protein isolate, casein, and whey protein can trigger allergic reactions in some people. High doses of whey protein can cause gas, diarrhea, bloating, and stomach cramping. Muscle Milk is reported to contain cadmium, lead, mercury, and arsenic. When consumed frequently, these metals can pose a serious health issue especially to pregnant women, people with diabetes and kidney problems. Additionally, high levels of protein in the blood can also impair the function of kidney and cause kidney failure in people with kidney disease (4). CytoSport has experienced their share of lawsuits and controversies and has had to part with millions to settle some of the lawsuits. In 2010, Consumer Reports, a consumer advocacy magazine in the United States, reported that two of CytoSport Supplements contained heavy metals exceeding the USP (United States Pharmacopeia) proposed levels. According to the report, Muscle Milk Chocolate powder contains cadmium, lead, mercury, and arsenic at high levels. And, the Vanilla Cremé Powder has lead and arsenic. In their response, CytoSport failed to address the claims directly. But, instead focused on their liquid shakes which they stated were within the USP proposed maximum levels. Furthermore, a class action was filed against CytoSport stating that the company gave misleading information on their ingredients. The plaintiffs explained that CytoSport claimed that the supplements contained L-glutamine when in reality they didn’t have much of the nutrient. And, in 2013, CytoSport agreed to pay approximately $ 5.3 million to settle a class action for using the term ‘healthy.’ Initially, CytoSport had claimed that the protein shakes contain ‘healthy fats’ while they saturated fats instead. Muscle Milk is available in many variations, and you can get both online and on retail stores. But, it is not the best protein shake in the market. Additionally, the supplements have too many ingredients– some are not beneficial. Even though they have little sugar, these protein shakes have added artificial sweeteners. Plus, the idea of having heavy metal in the powders is a bit alarming. You can buy the supplements from the Official website and Amazon.